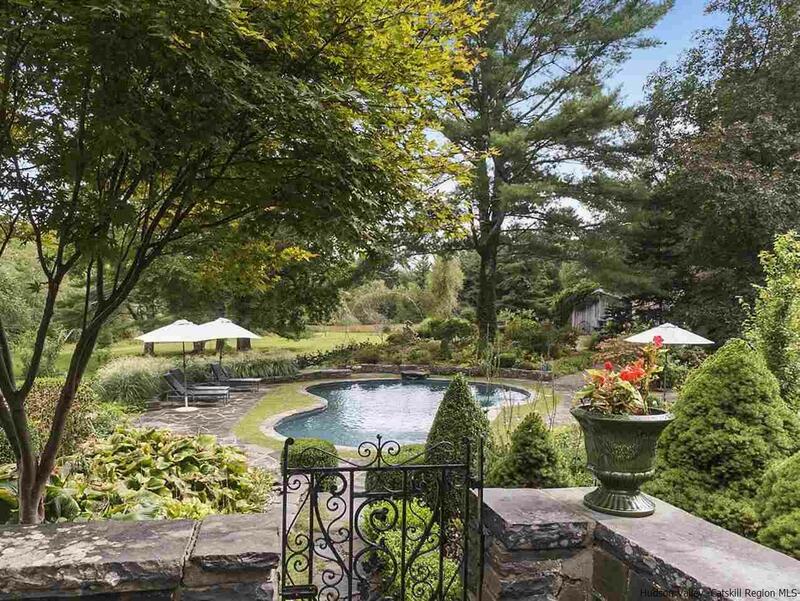 Glorious 1900-era Woodstock Equestrian Estate. 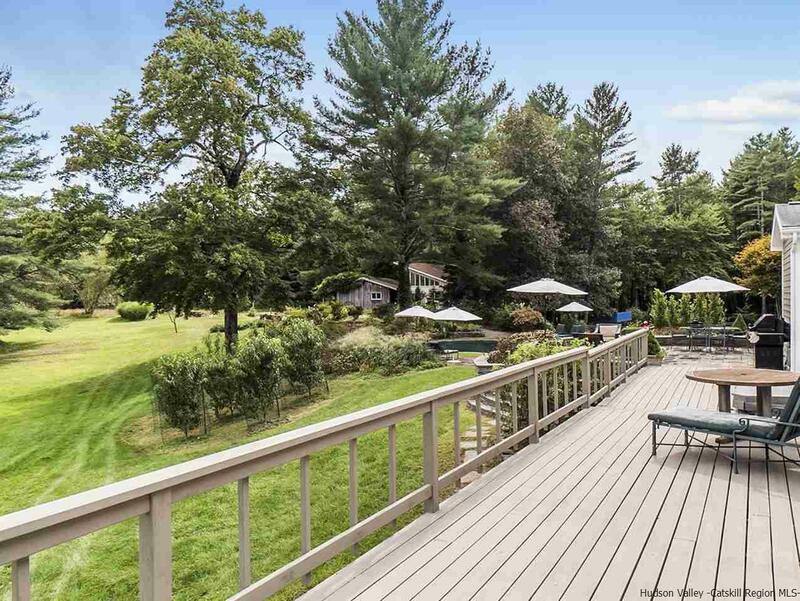 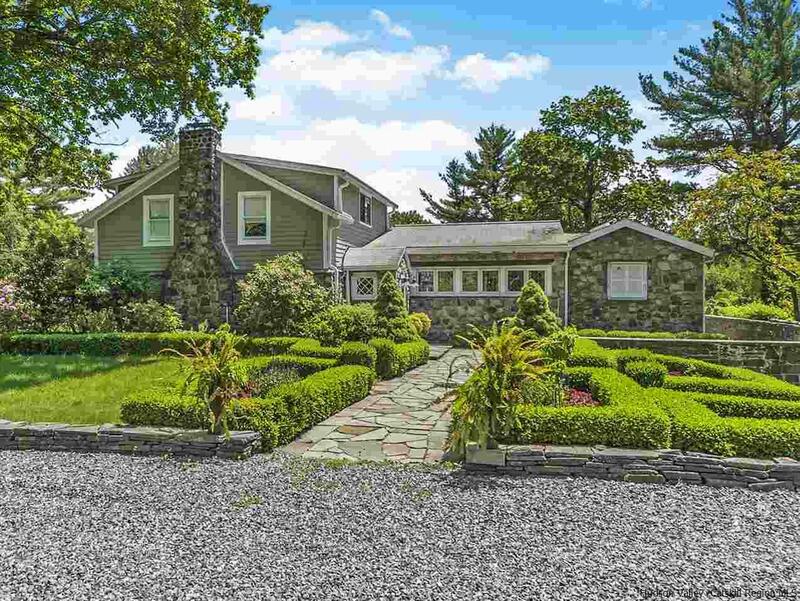 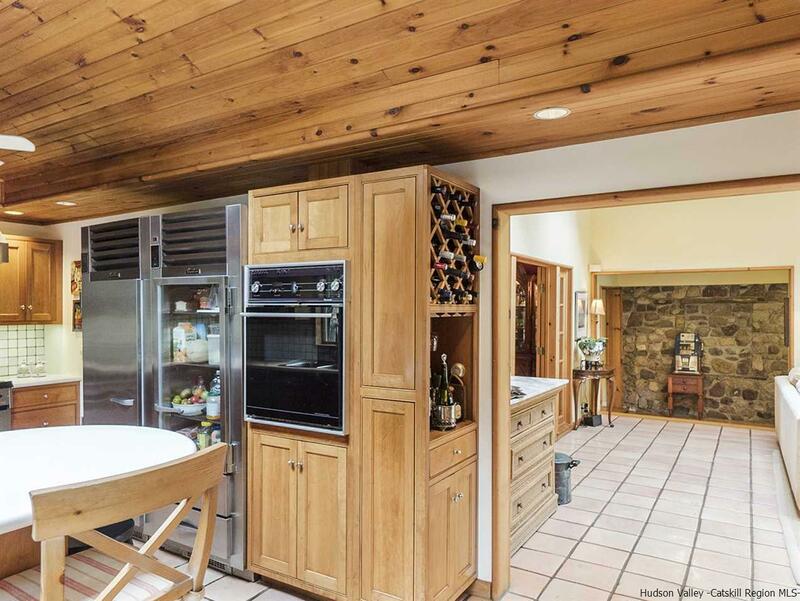 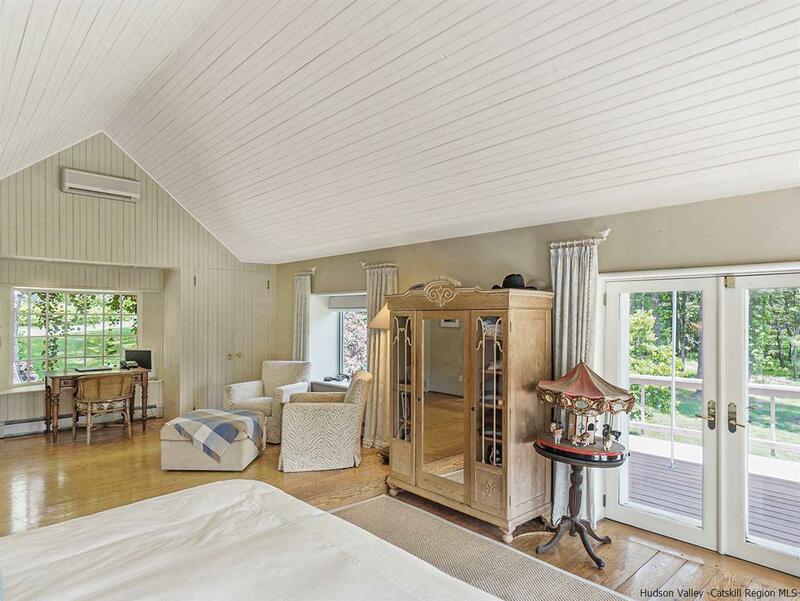 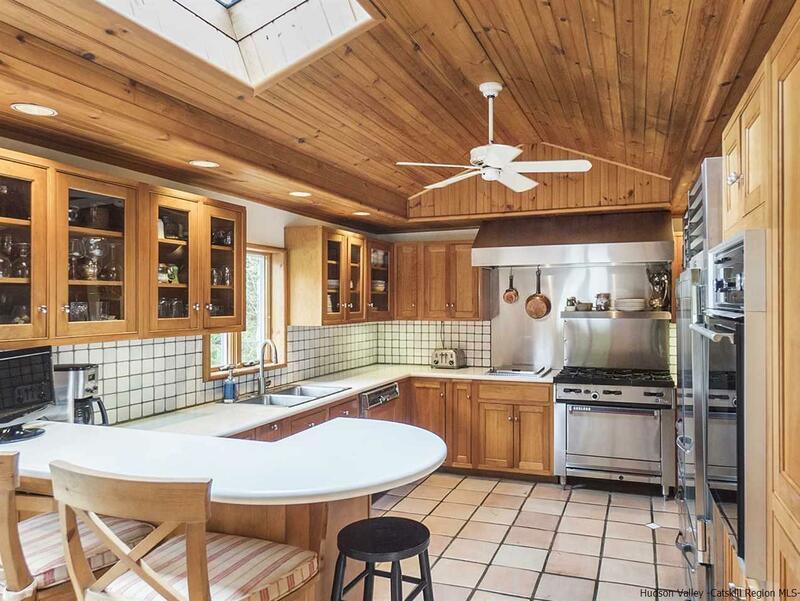 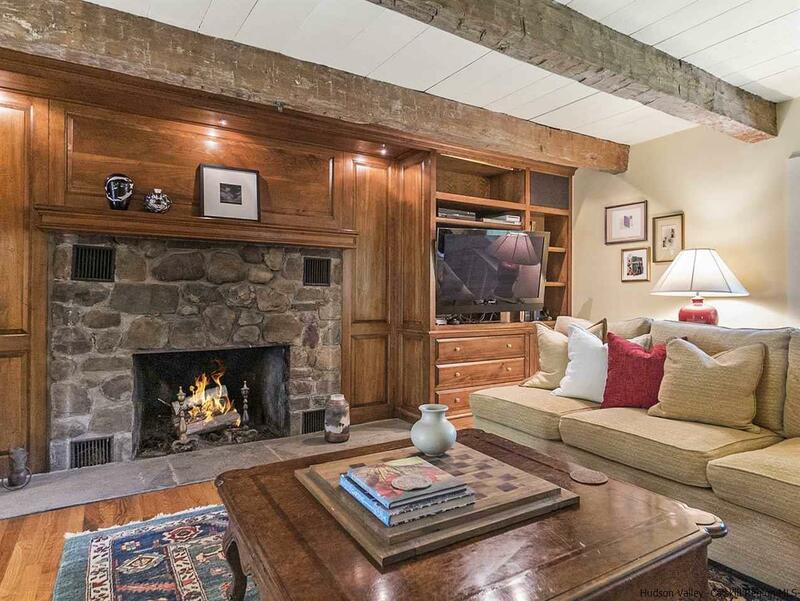 Situated just minutes away from the village of Woodstock and Saugerties, and less than two hours from the George Washington Bridge is this stunning, nearly twenty acre property â on the market for the first time in over 30 years. 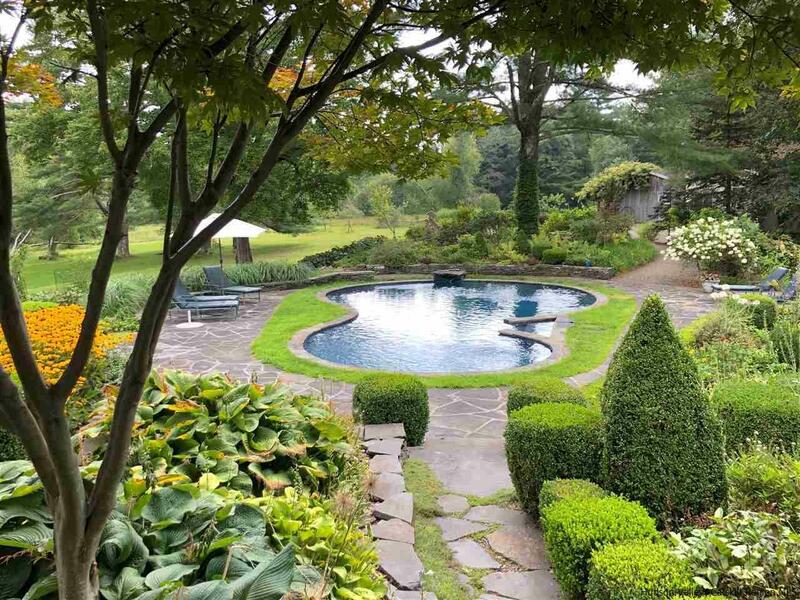 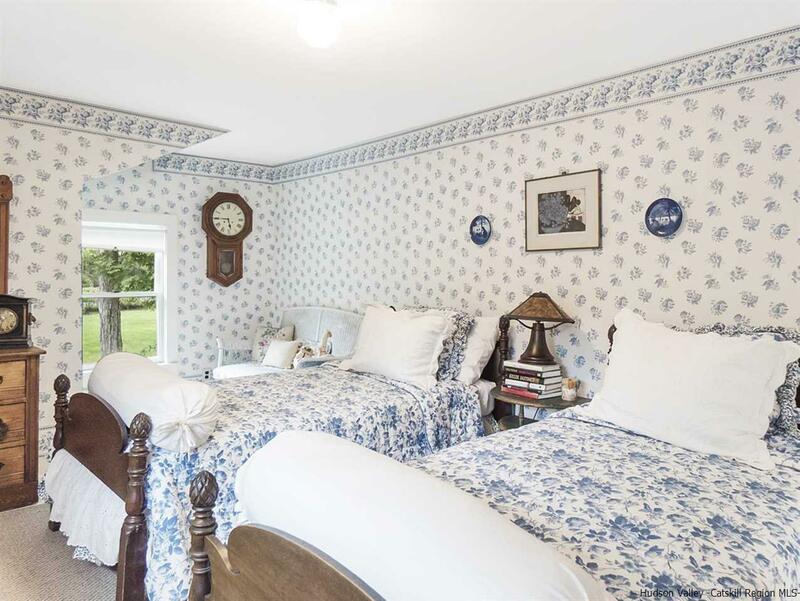 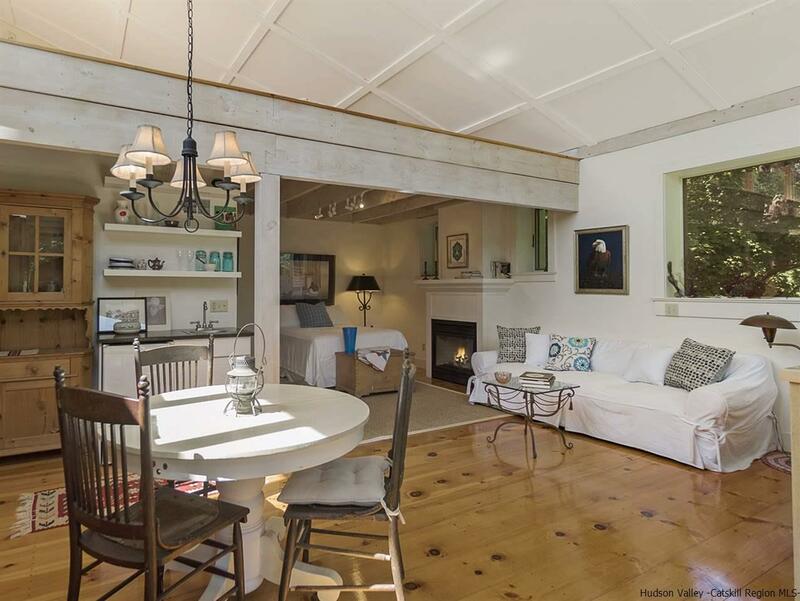 The estate features a renovated and expanded main house, guest studio, three-stall horse barn, in-ground pool, spring-fed pond, and full-size tennis court. 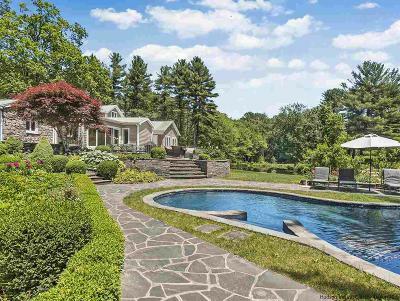 Upon entering the grand driveway, you'll immediately appreciate the property's meticulously landscaped gardens with box woods alongside mature growth trees that perfectly frame the large stone home. 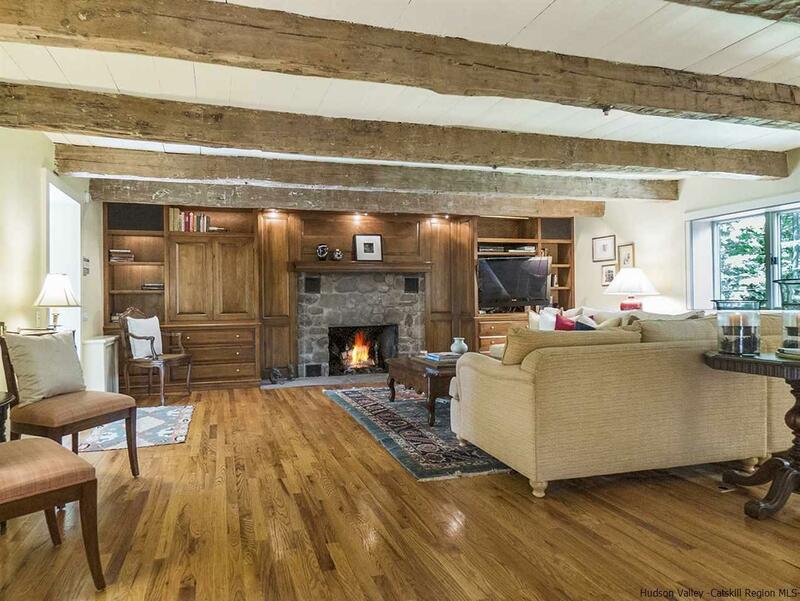 The formal entry invites you into the living room, showcasing original detail such as hand-hewn beams and wide plank hardwood flooring. 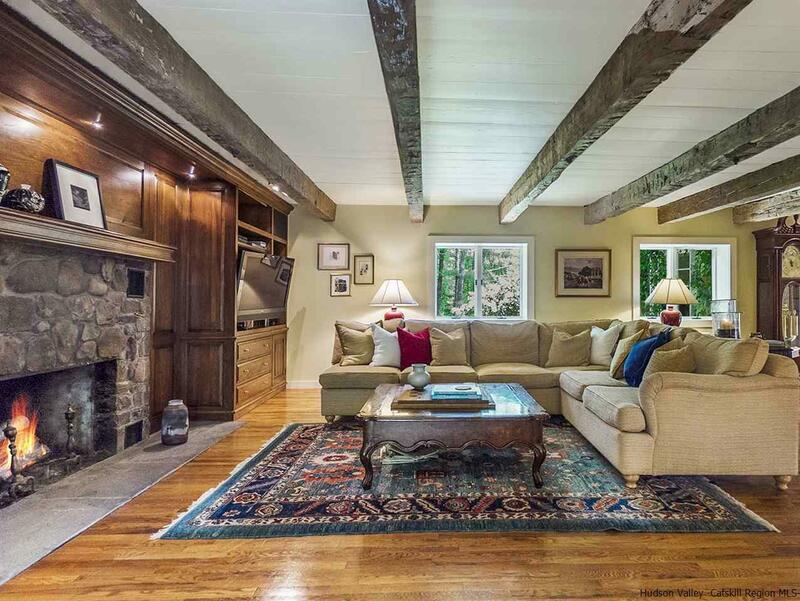 A magnificent blue stone fireplace anchors the room alongside custom cabinetry. 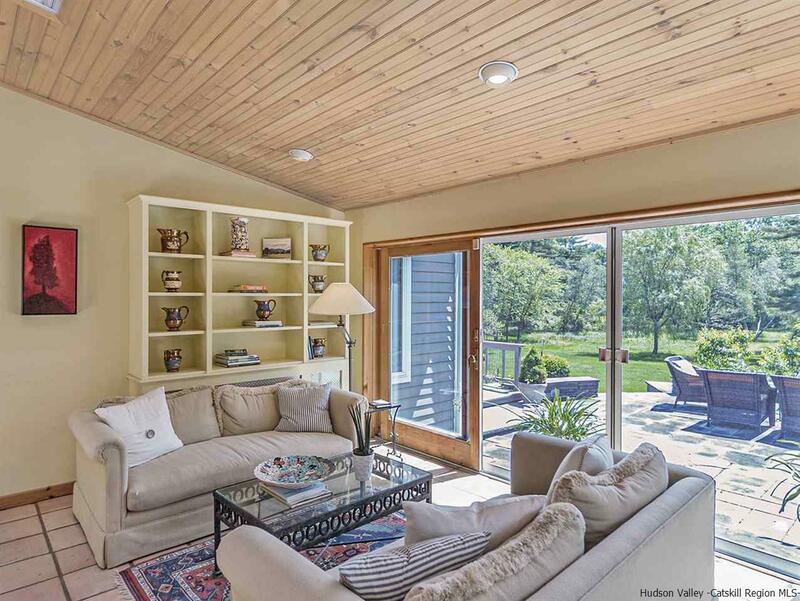 A modest hallway brings you to the modern family room, featuring dramatic floor to ceiling windows and sliding doors, overlooking the expansive blue stone patio and in-ground pool below. 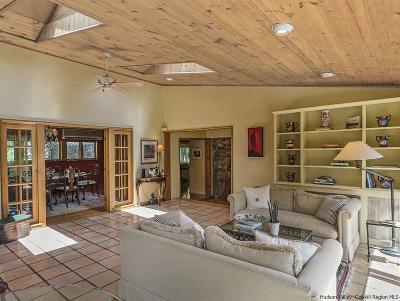 The family room's terra cotta floor tiles and vaulted ceilings make for a warm and relaxing environment in which to entertain guests. 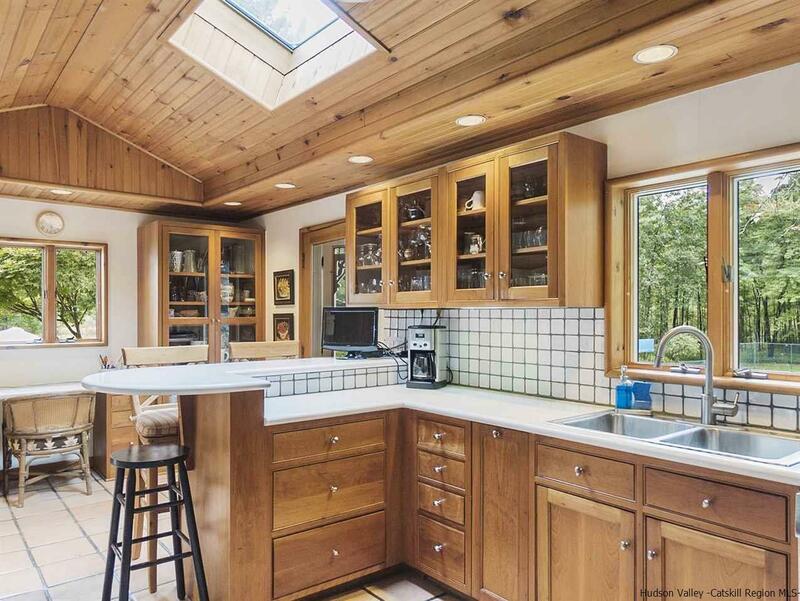 The custom kitchen boasts cherry wood cabinetry, a 36â Garland 6-burner range with stainless steel hood, and an in-counter char-glo grill. 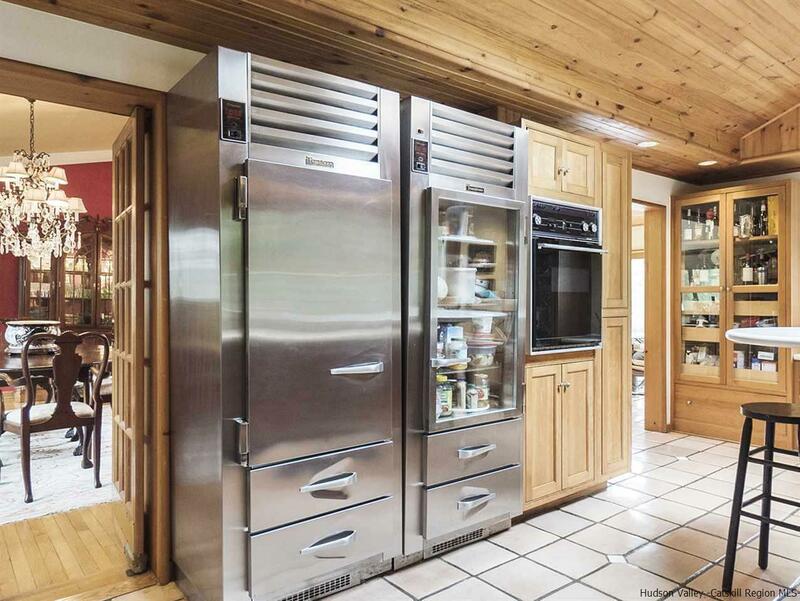 A separate high-end Traulsen refrigerator and freezer along with Corian counter tops and built-in glass pantry finish the impressive eat-in kitchen. 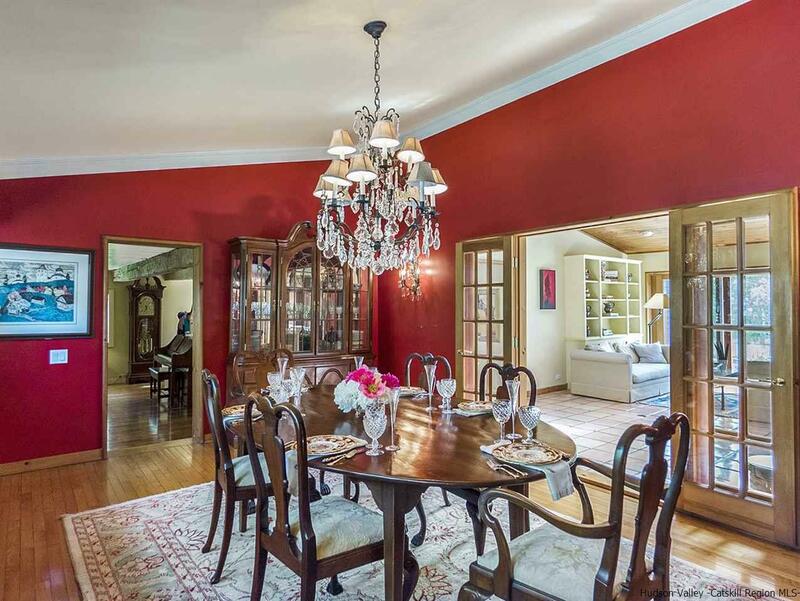 The focal point of the formal dining room is the elegant chandelier, which sets the stage for important gatherings with friends and loved ones. Three sets of custom leaded glass windows face the front garden and entry on one side of the room, with French doors on the other side. 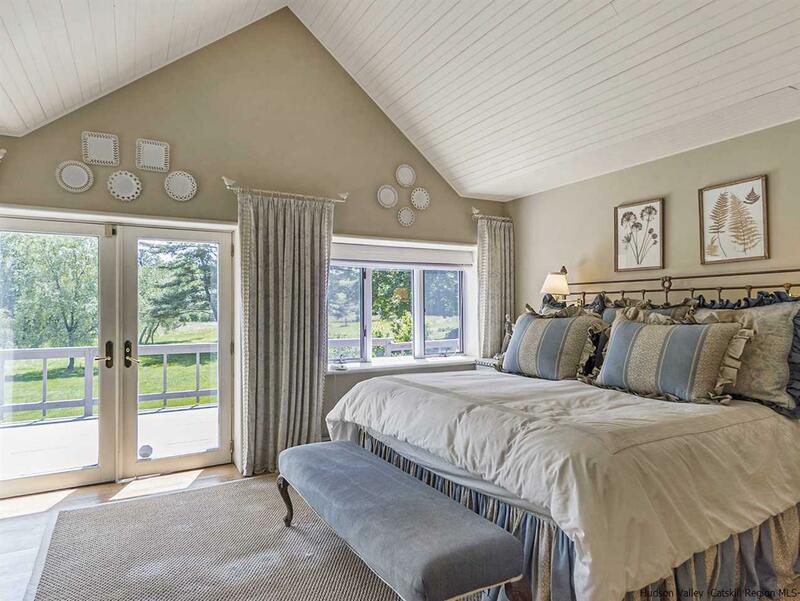 A large mini-split a/c keeps this and adjoining rooms comfortable in the summer months. 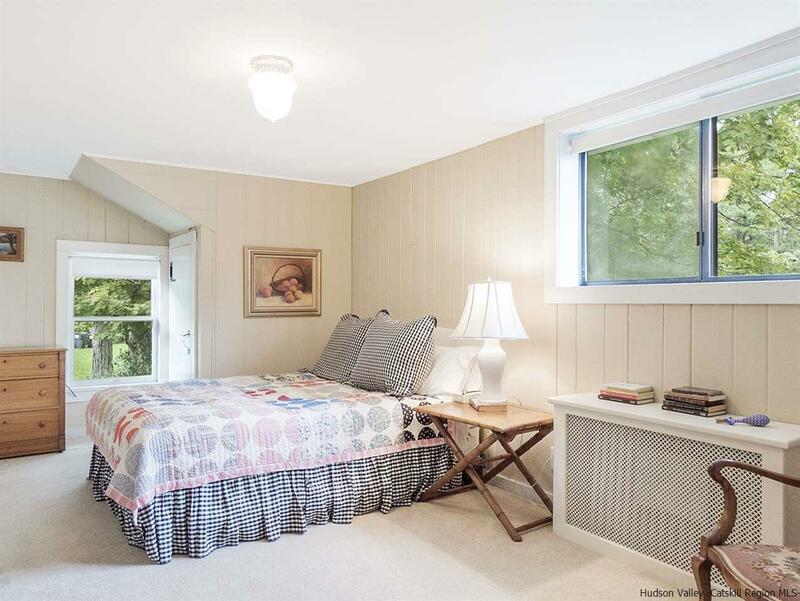 The bright and spacious master bedroom suite features vaulted ceilings, a large walk-in closet with separate built-ins, offering plenty of storage. 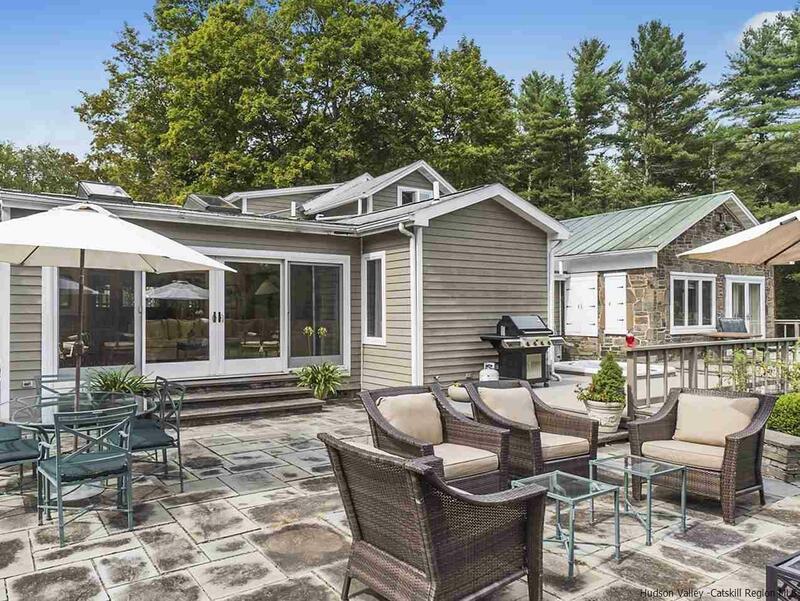 Two sets of French doors lead to the large back deck overlooking the pond. 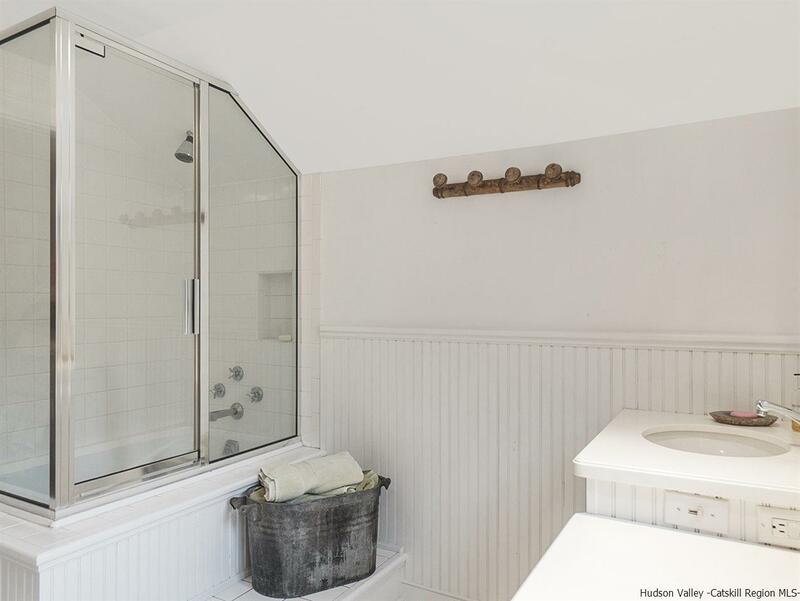 The master bathroom features a steam shower. 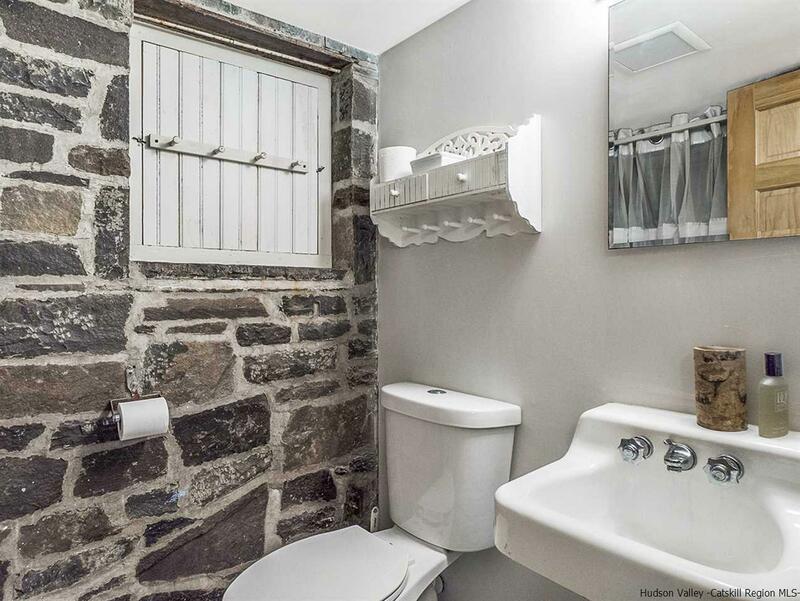 Upstairs you'll find two bedrooms with original detail and a bright full bathroom with a deep soaking tub with shower and glass doors. 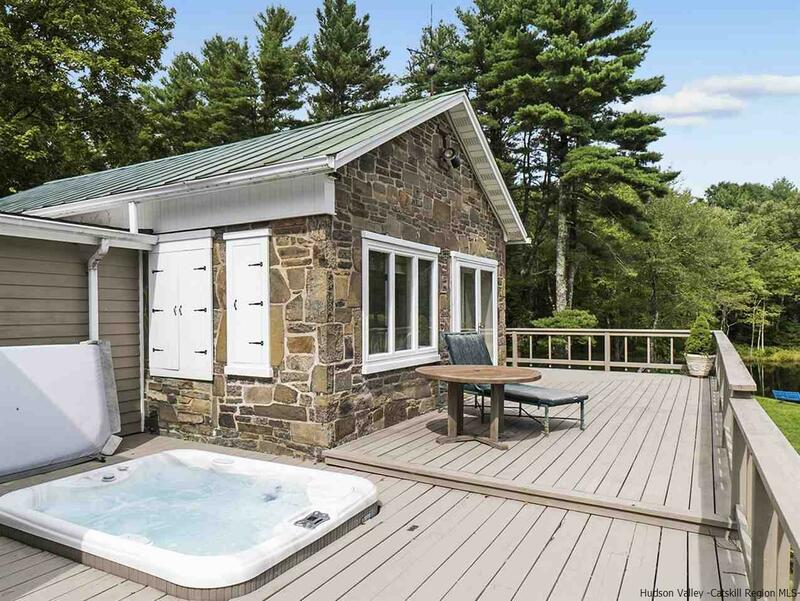 Enjoy the sunken hot tub situated on the deck off the master bedroom, above the blue stone terrace and pool. 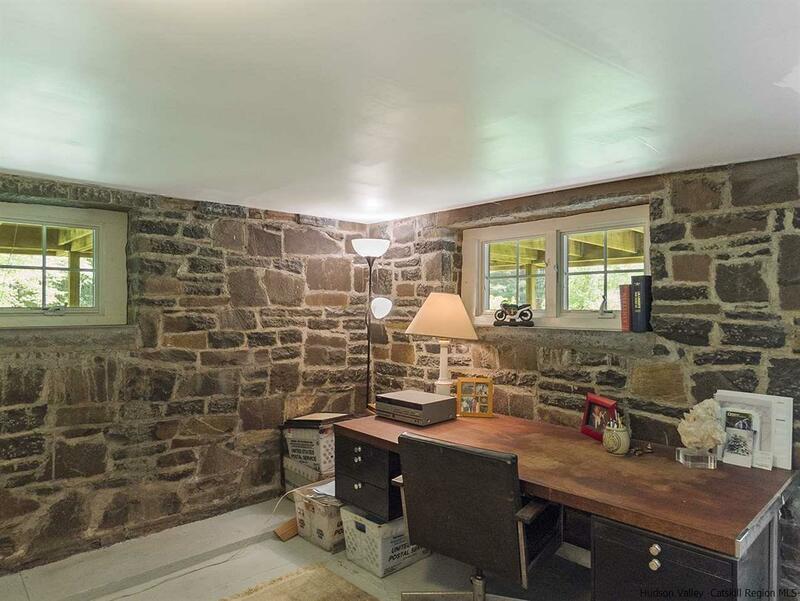 The private office is adorned with stone walls and features a separate entrance and bathroom â this space could easily be used as guest quarters. 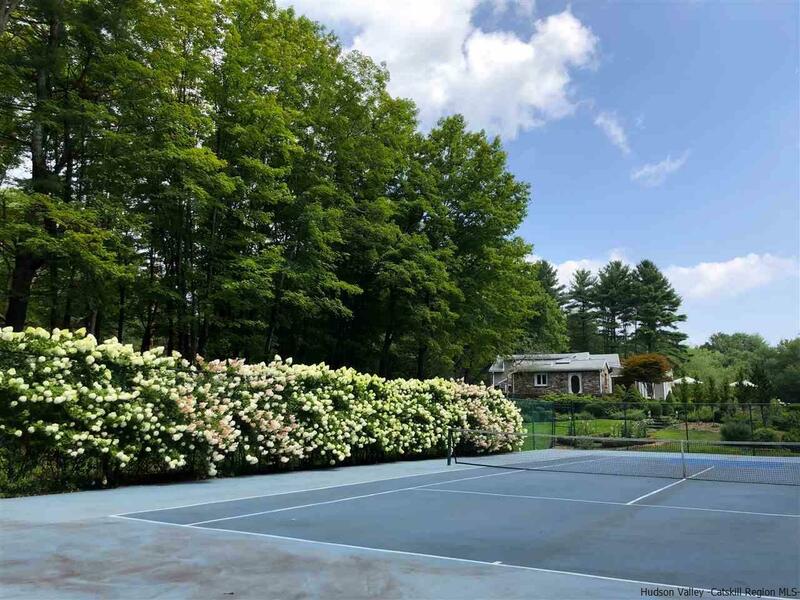 The admired, well-maintained hard-surface tennis court is regulation size and fenced on all sides â complete with a covered court side patio. 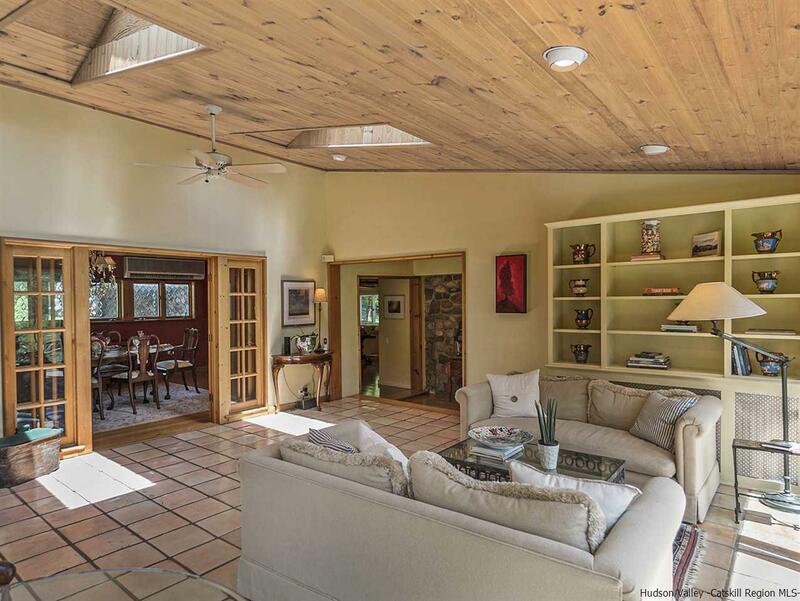 Just beyond the in-ground concrete pool is the large guest studio featuring wide plank flooring and lots of storage. 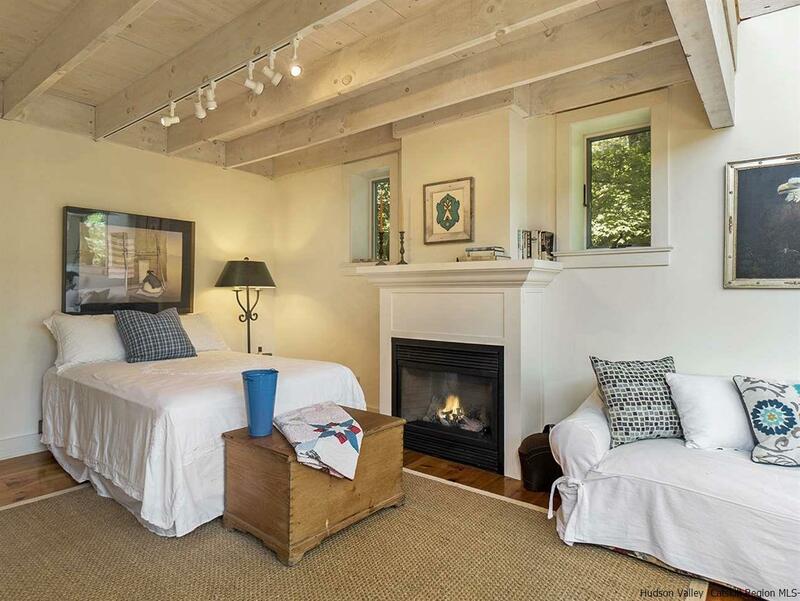 Continue enjoying the studio as a space for guests or create your own artist's retreat. 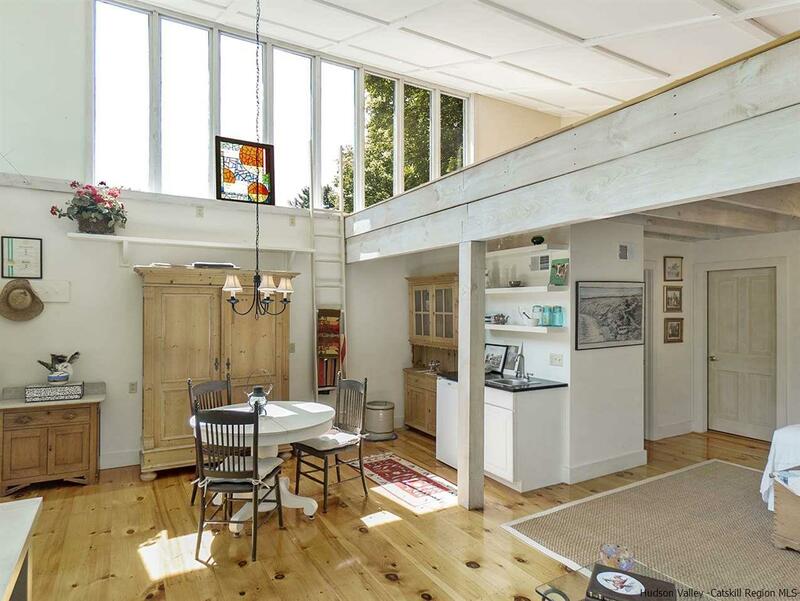 The studio includes a full bathroom, kitchenette, sleeping area, loft, and gas fireplace. 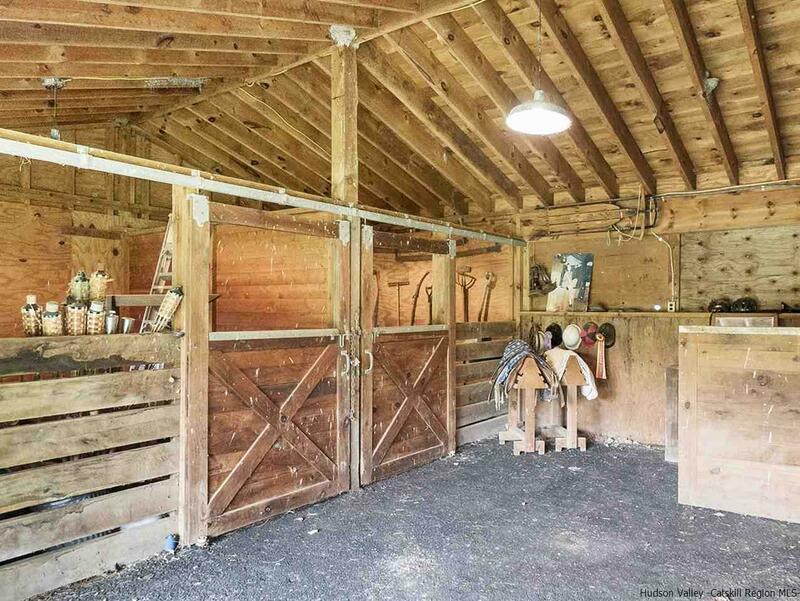 For the equestrian enthusiast, the three-stall barn provides a turnkey environment in which to stable your horses. 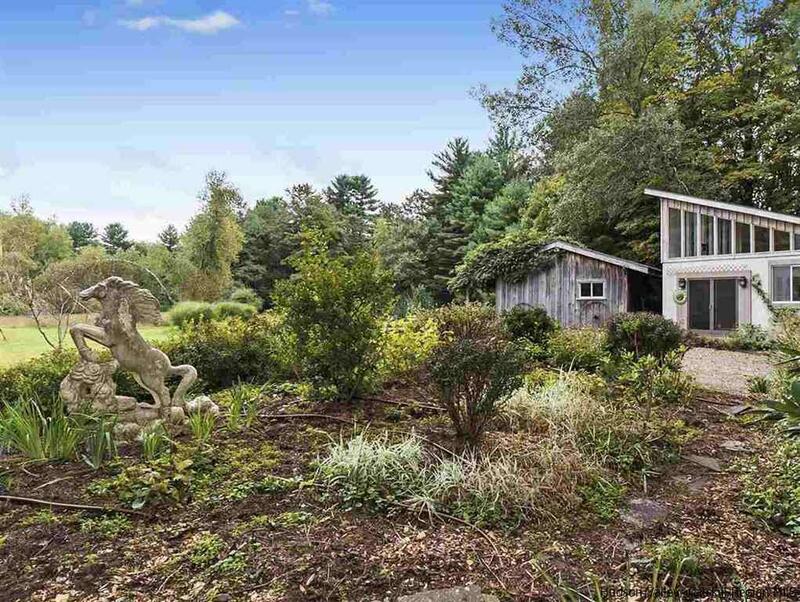 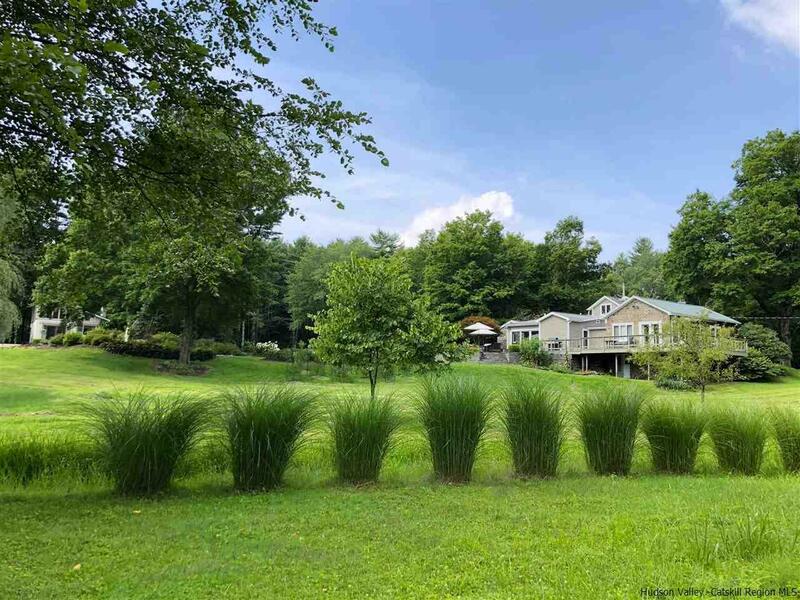 The estate is ninety percent horse fenced-in, offering plenty of safe space to ride â or take lessons at nearby Green Heron Farm, connected to this property. 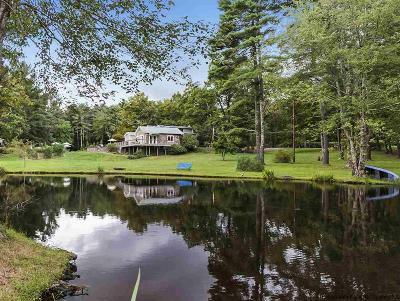 Relax by the large stream-fed pond and enjoy the sounds of the frogs and watch the beautiful koi swim nearby. 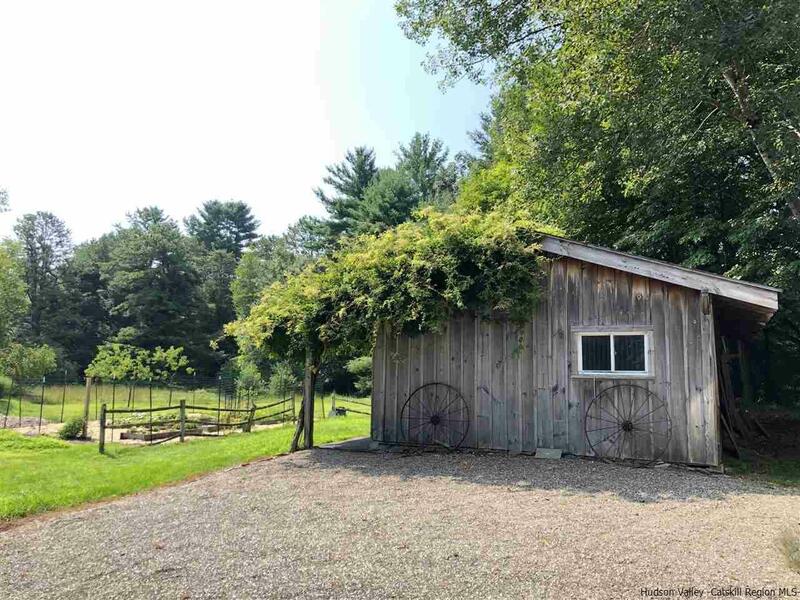 A large, organic fenced-in garden currently grows a variety of vegetables and houses pear, apple, peach, and cherry trees. 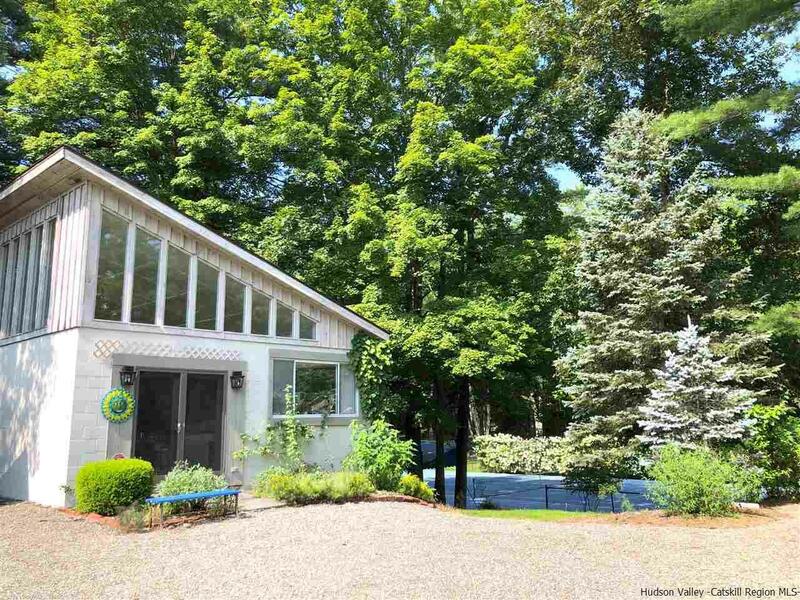 A stand-alone two-car garage sits adjacent to John Joy Road. 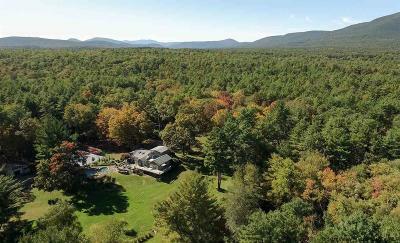 The property is located just a short drive to HITS and within walking distance to The Woodstock Day School. 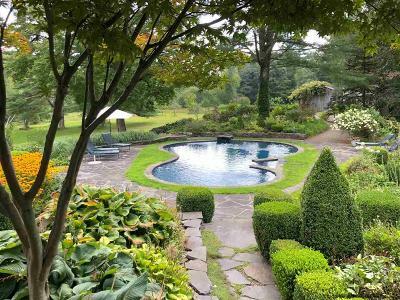 An expansive drip system delivers water to the gardens, and there is an underground dog fence on the property.